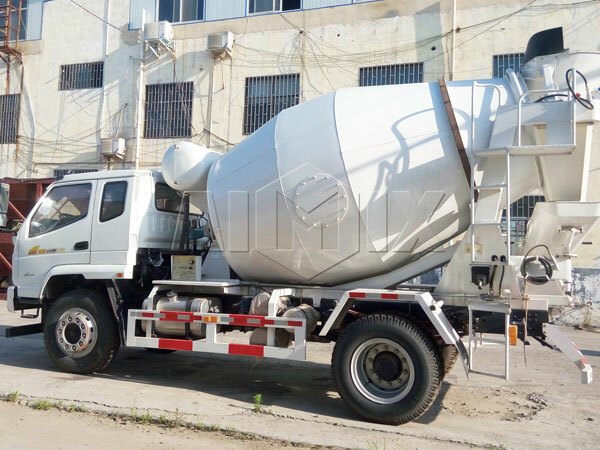 Mobile concrete mixer truck for sale has been more and more popular in concrete machine field for its good performance, easy transportation and high productivity. 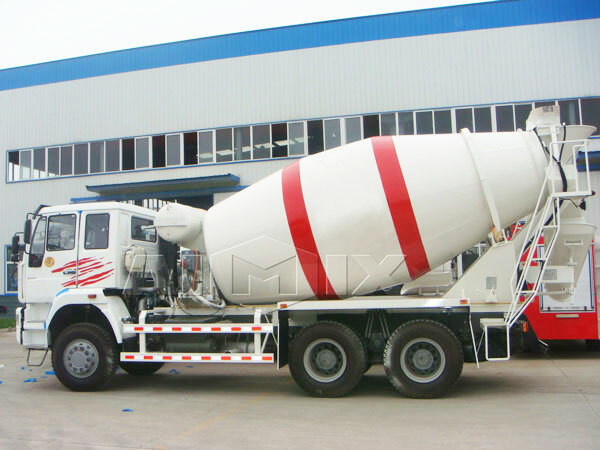 Literally, we can have a detailed understanding from three aspects: mobile, concrete mixer and truck. 1. It is easy to move because it is equipped with many tyres, and the amount of tyres can be customized according to requirements of users, moreover, we will take practical construction condition into serious consideration. 2. 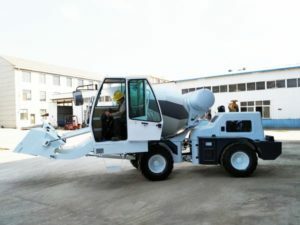 It can produce concrete like a concrete mixer. 3. 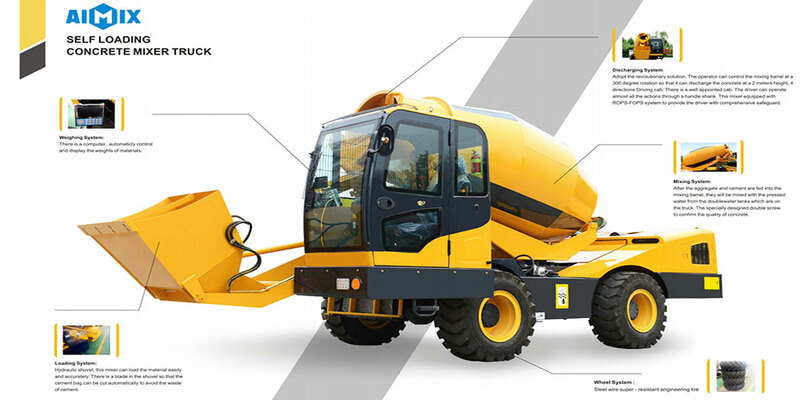 It is a truck, that’s to say, this machine not only can move on its own, but can mix and convey concrete. It mainly consists of mixing drum and auxiliary support parts. 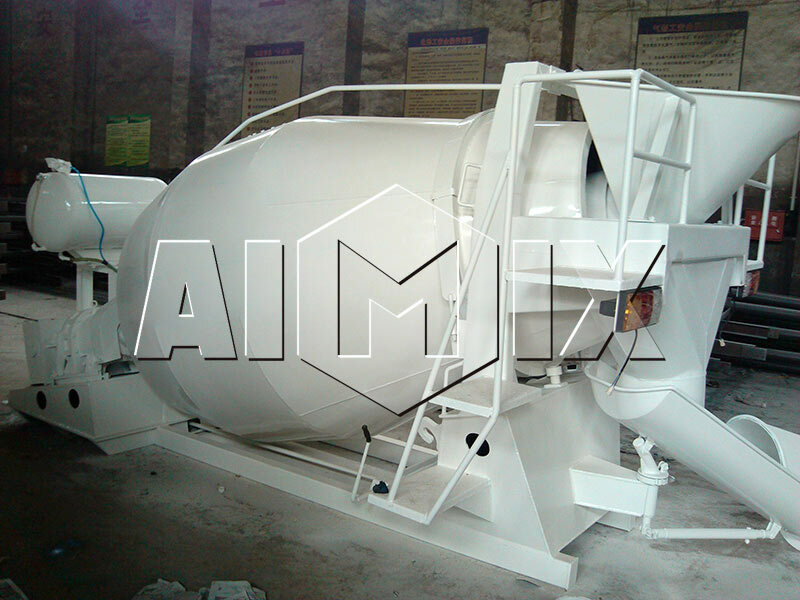 Drum cement mixer is made up of high-quality wear resistant steel plate used to load concrete. To make concrete loading and discharging more automatically, there are spiral blades welded inside the mixing drum with special shapes. 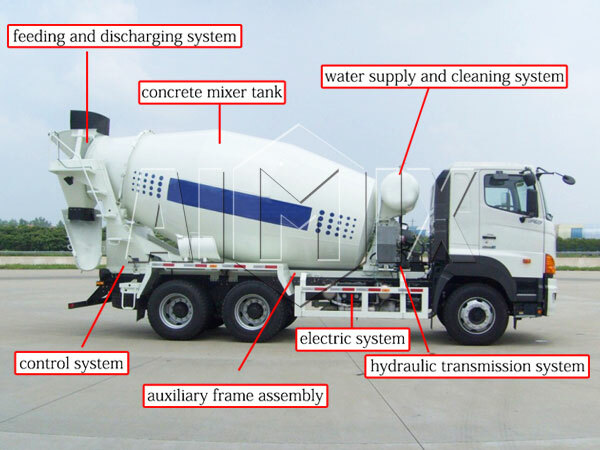 Mobile concrete mixer truck is composed of mixing system, feeding system, discharging system, cleaning system, lifting system, etc. 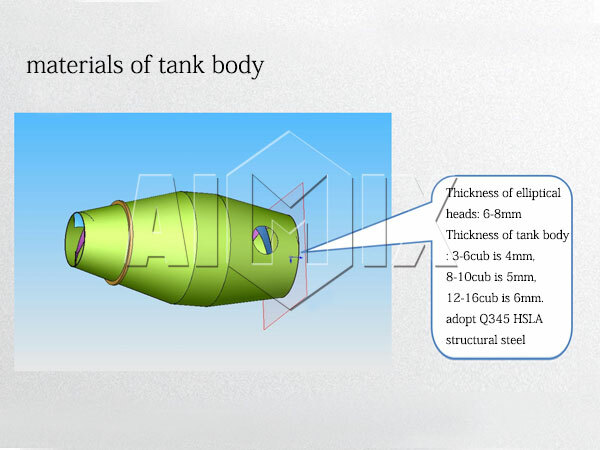 In detail, mixer tank includes manhole cover, head, blade, before cone, body, rear cone, filling port and guide, etc. When there is an emergency and can not discharge normally, user can use manhole to discharge concrete. 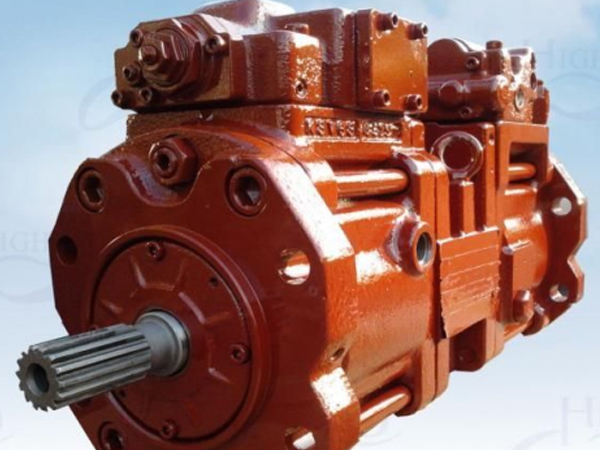 And hydraulic system covers hydraulic pump, hydraulic motor, gearbox and reducer. 6. 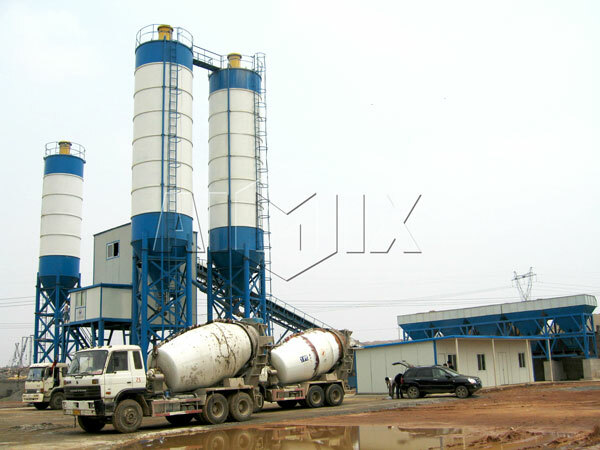 Complete machine adopts diesel engine as the power producer, during the transportation, mixing drum will keep rotating constantly to ensure the good quality of concrete and provide construction project with superior construction materials, no slurry dispersion and no sedimentation. 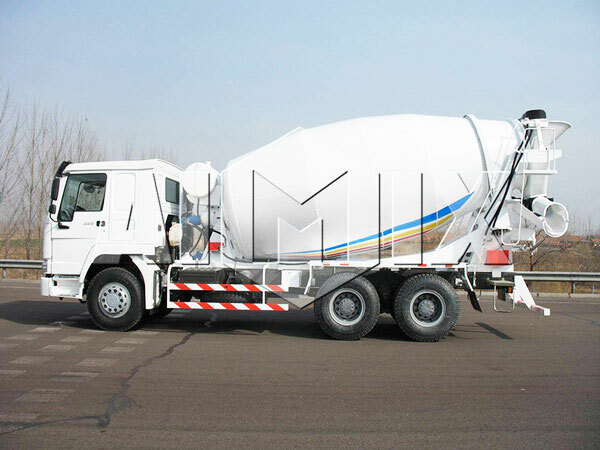 For mobile mix concrete truck has many functions, it not only can serve for dry mix concrete plant, but also can be concrete transportation. Therefore, its working principle is different if it is used in different construction project. 1. 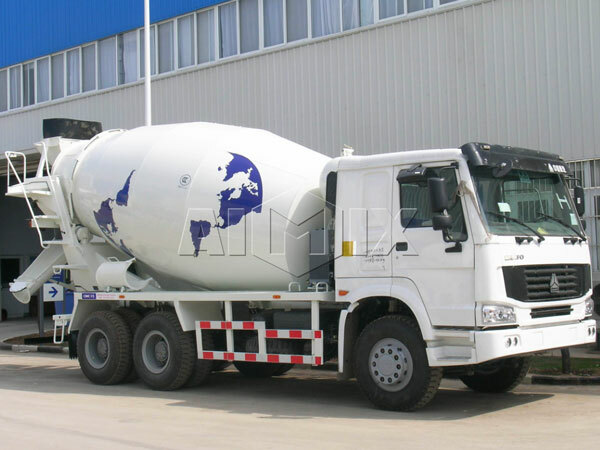 When it is used in wet concrete batching plant as a means of transporting concrete, when the whole concrete production is finished, concrete will be discharged from the mixing engine in concrete batching plant to concrete mixer truck. 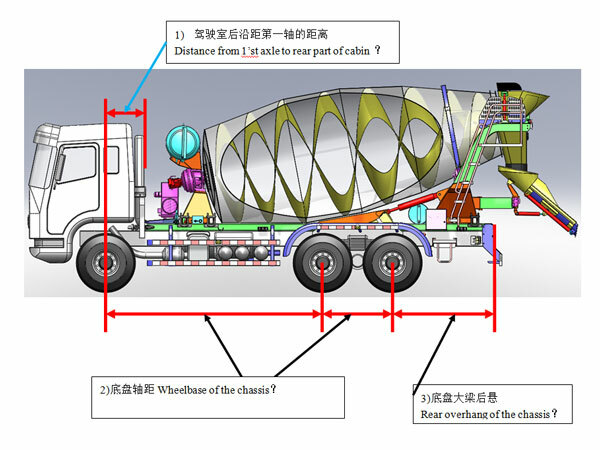 And then concrete will be delivered to construction site and used in wall casting engineering through concrete pump. 2. 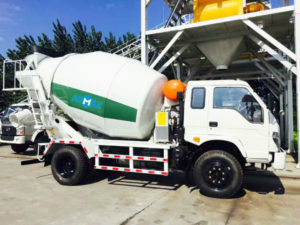 When it works for dry mix concrete plant, as we all know, dry mix concrete batching plant has no mixing engine, so, mobile concrete mixer trucks for sale play the roles of mixing engine and concrete transportation, which is more suitable for long-distance concrete transportation, and it is very cost-saving and time-saving. 1. Load materials. 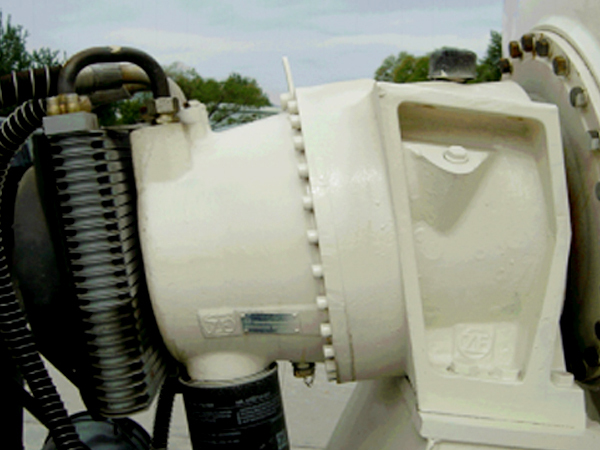 Concrete enters into mixing drum from cylinder verge through loading system and under the guidance of screw blades flows into middle and lower of mixing drum, here something needs to pay attention is that rotation direction of the tank body during the loading and transportation should be consistent. 2. Mix materials. 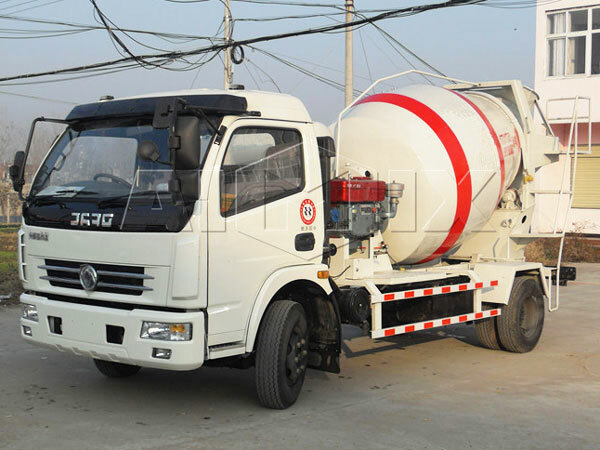 Hydraulic pump, hydraulic motor and mixing drum will be driven by the power through reducer from PTO and small transmission shaft, during the delivery, mixing drum should keep on mixing to prevent concrete solidifying. 3. Discharge materials. 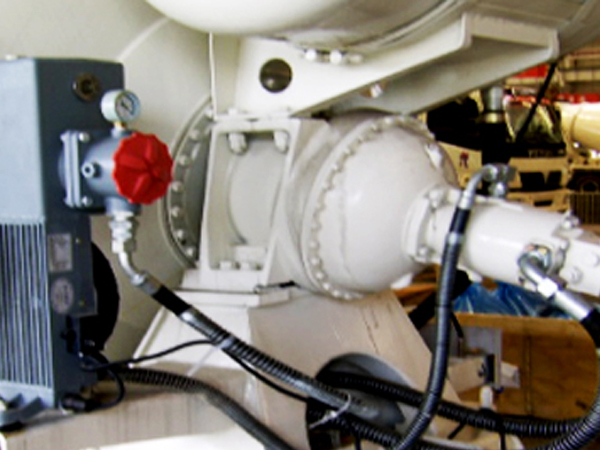 Engine of mobile mixer truck sales conveys the power to mixing drum through PTO, hydraulic pump and reducer, etc. 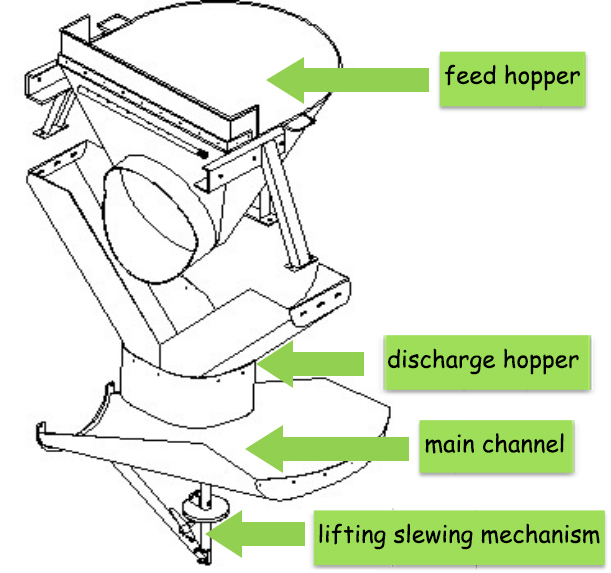 And drives the mixing drum to rotate, concrete will move to discharge outlet under the pushing effect of spiral motion of blades and then be discharged through discharge hopper, at this moment, rotation direction of tank body is contrary to feeding direction. 4. Cleaning materials. Pressurize the water tank through air reservoir of braking system, water flow begin to clean the tank body, feeding inlet and discharging outlet, etc. 7. 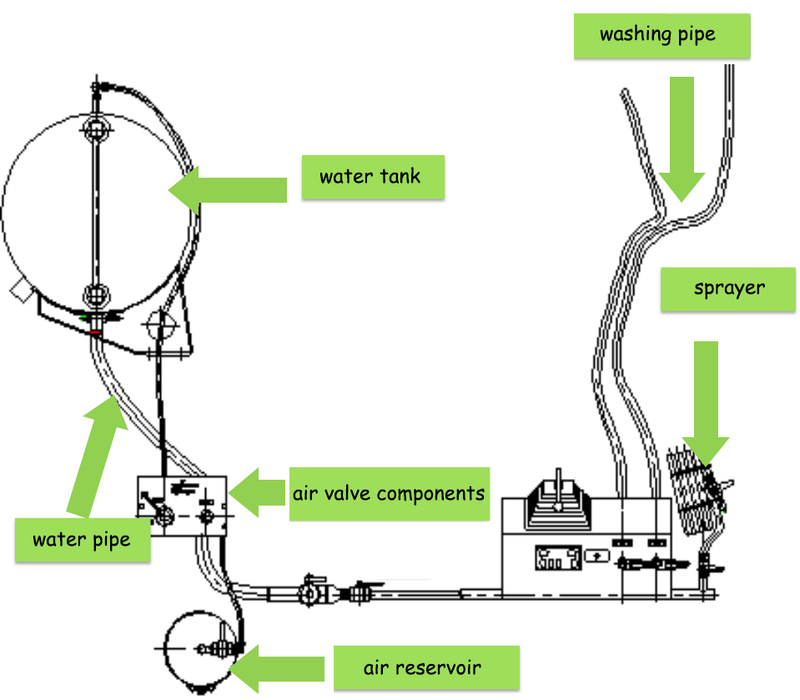 A variety of large-scale water tank ensure normal cleaning process. 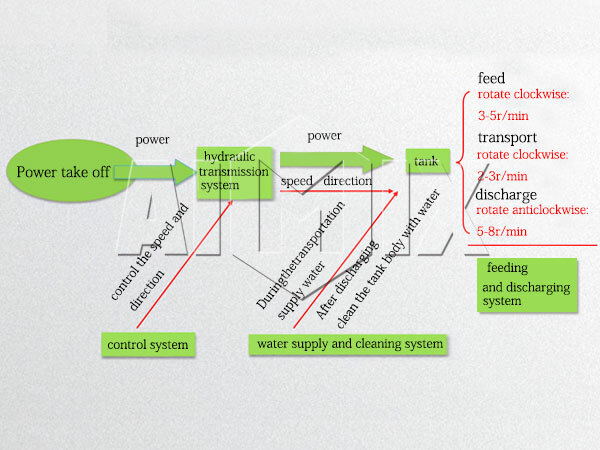 Multiple water supply methods, for instance, pressure water supply, reducer pump and electric water pump, which can meet the requirements of different customers. If you want to learn more, you can look this facebook page. 7. 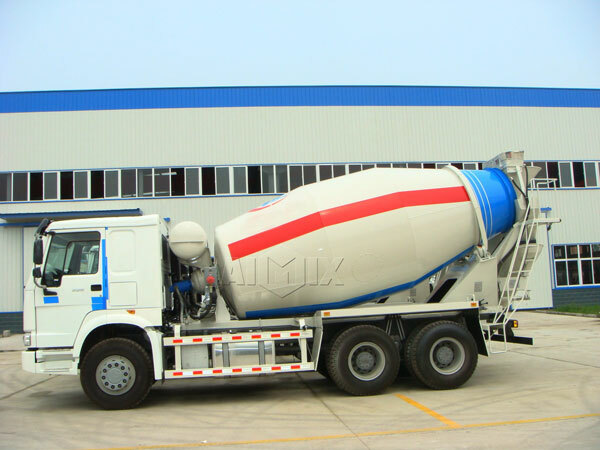 We set up soundproof room, which is used to cover the concrete mixer, as for those problems like open-air installation, big footprint, continuous feeding and discharging of concrete mixer, our soundproof room is easy to move, install and disassembly. It not only can reach good noise reduction, but is convenient to construction. 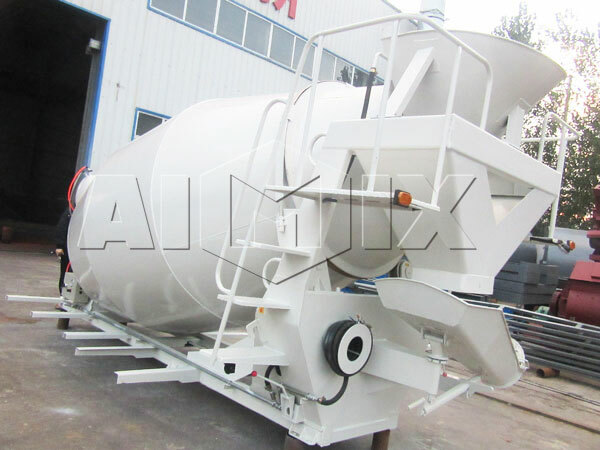 Self loading cement mixer is also mobile type, which can self load, mix and discharge, and the most importantly, it can rotate 270 degrees, it is much more suitable for difficult construction condition. 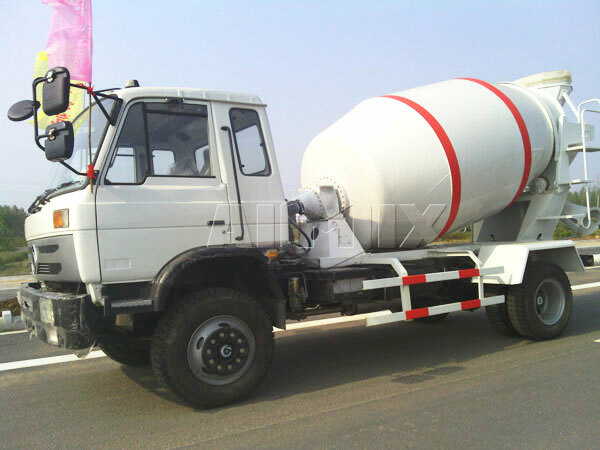 And it is a hot type truck machine, you can have a look and make a comparison, anyway, take your construction condition into the first consideration and choose a most proper machine. 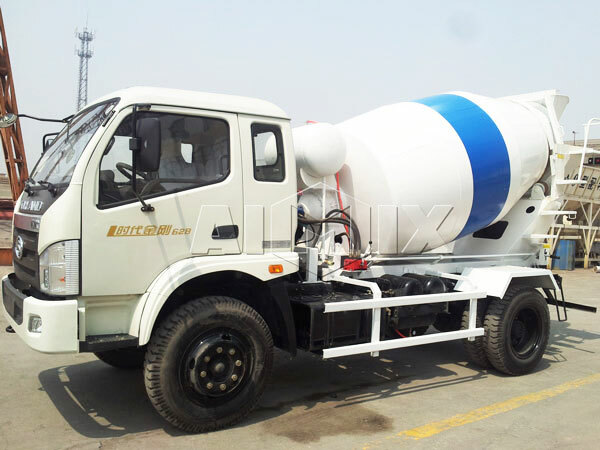 Our mobile concrete mixer trucks cover all types products in mixing industry. 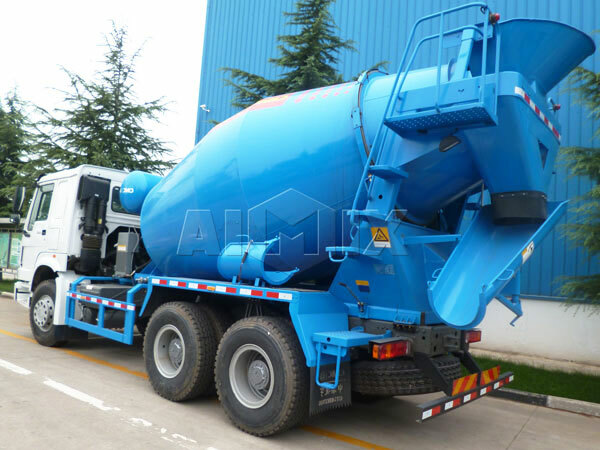 Such as, self loading concrete mixer truck for sale, dry mix concrete truck for sale, ready mix cement trucks, small cement mixer truck, etc. Our chassis adopts Dongfeng, Shaanxi Automobile group, Auman, FAW Jie fang, Mitsubishi, Isuzu, etc. And we will customize different manufacturing schemes for different chassis requirements to reach optimal matching. Our products have won a good reputation at home and abroad, there are always some old customers initiative to give us feedback. Furthermore, we promise we will give you the best price and the most considerate service, don’t hesitate to contact us and we will answer you within 24 hours.